Established in the year 2004, we Shri Radhey Govind Tarpolines, are one of the celebrated manufacturers and exporters of a vast batch of HDPE Tarpaulins, Laminated Pouches, BOPP Bags and much more. Furthermore, for the manufacturing process, supreme quality plastic material, obtained from our reliable & trustworthy vendors is used. Appreciated for its optimum performance and durability, the proposed selection is highly demanded in the business. We export our products all over the world. Constant guidance, regular motivation and vast industry knowledge & experience of our leader, Mr. Raunak Maniyar, have inspired us to attain the organizational goals, with greater efficiency. We have gained a vast number of worldwide clients with our client-based approach and wish to continue with the same, in future too. We have been able to become a successful organization in the domain of manufacturing, supplying and exporting Tarpaulin and PP/HDPE Woven Sacks Bags. We are backed by a team, which comprises professionals holding expert knowledge of the industry and work in complete cooperation with each other. Owing to the efforts of our team, we have been able to maintain good relations with our clients. The professionals understand their duties well and work according to the work assigned to them to accomplish the organizational goals. Our staff is the strength of our company which helps us to maintain the long standing position in the market. Being a client concerned organization, It is the prime objective for our organization to serve the clients in best possible manner. Owing to the quality products and easy payment modes, we have been able to create a huge clientele across the nation. We mainly supply our products to the major international markets such as East/Middle Africa, South/West Africa, East Asia, Middle East and South East Asia. We also offer customized solutions to our clients according to their varied requirements. In addition to this, transparent deals and ethical norms helps us to stay ahead of our competitors. We have been able to develop as a successful organization in this industry providing quality proven products. We avail our clients with customized services to fulfill their requirements. Our products have always been appreciated for their longevity and reliability. Having a wide distribution network, we can provide bulk orders in a short time period. 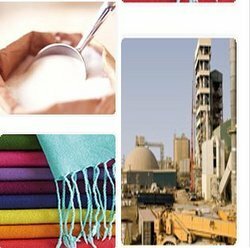 We provide innovative packaging solutions for different industries by manufacturing tailor made polypropylene fabrics, polypropylene woven bags and polypropylene woven sacks. These bags are specially designed for ruggedness, safety and leak-proof packaging of products. We even offer custom designed polypropylene/HDPE bags in different form of finished circular woven sacks. The entire range of our woven bags and woven sacks are available with options of high end printing and laminated forms to suit industry specific needs of the customers. PP bags and woven sacks are are available without printed and laminated forms.